We started Pleasant Run Nurseryin 1998, with a mission to provide new and garden-worthy plants to the discerning gardening world. 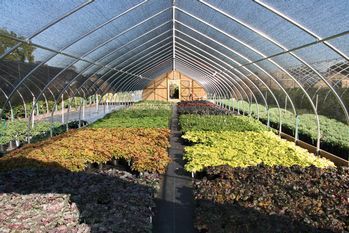 We are now a 15 acre container nursery which has recently been selected as the first wholesale nursery enterprise to be recognized as a New Jersey Sustainable Business by the New Jersey Sustainable Business Initiative (SBI). Started by Richard and Heidi Hesselein in 1998, Pleasant Run has grown from 9 bow houses and 1 propagation structure to a current facility including 95 houses, a large potting and storage barn and 2 pump houses. 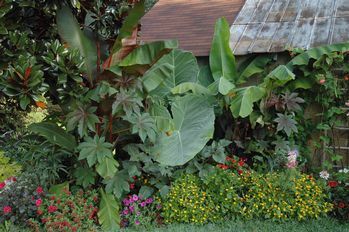 The nursery produces woody ornamentals, vines, perennials, grasses, ferns and tropical plants, all grown in containers ranging from 1 gallons to 30 gallons. Our focus is on hard-to-find and cutting-edge plants, with a particular emphasis on natives and plants which solve specific site challenges or problems. Customer service has always been a top priority for us…from the moment you first contact us, all the way through loading your vehicle or delivering plant material to you. We do our best to help you get the information and plants you need to make your endeavors a success, and we want you to have left Pleasant Run Nursery enriched and enthusiastic about your experience with us. We appreciate our customers' input and suggestions, and work to incorporate them at the nursery. We look forward to having you visit us at Pleasant Run and working with you on your future projects.